Organizational development is all the rage in businesses, looking for ways in which you can grow a company by using the resources that are available, which can add to a company and increase the effectiveness of the business. These principals are useful in the home too; you are looking for ways and strategies, which work, bringing harmony to your home. You are looking for better ways to do a task or to organize different aspects of your life and that of your whole family. When you are at home, you can work together to accomplish the common goals of getting all the tasks complete, giving time for the different aspects of a hectic family life, to work together and not pull in opposite directions. Working together can help reduce the stress and tension at home; it can make your home feel great by working towards a common goal. To do this you need to have everyone working together, it means giving children a voice too. If they feel like their opinions get taken into account and their ideas respected, they are more likely to help and accept the chores that they need to do. Building a leadership team is key; give everyone a responsibility to show they are an important member of the household. It is not just about one person but your whole family working together towards a common goal. How to build a successful team in your family is to listen and to work out problems in a set manner, this helps all those to understand that there are consequences for all actions and that includes adults too. It is important to understand that those few lucky people who seem to be born with organizational skills are few and far between; it is not impossible to learn these skills, but this can take practice and perseverance. Create schedules that work together, don’t have schedules that are impossible to manage. It is important the team understands it to work successfully together; you are able to say no to some things if it is not good for the team. However, it can be all one-sided; there are instances that you have to show to the younger members of the team where you have to compromise too. Teaching organizational development to your children and the rest of your family will help to develop their skills as they grow. They are able to work as a team and understand the principles that if something is not working or a system is missing a key part, they will have the skill set to look at this objectively and learn to look for solutions. 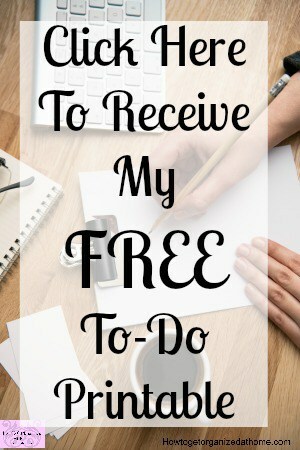 This type of organizational skill is imperative if you are looking to improve your quality of life; it can allow for the day-to-day running of life and work balance to be a smooth transition, with all the family knowing what’s expected and when they need to do a task or job. Team building and learning to work together to ensure that all activities get completed in the best way possible, involves working together and this includes family activities and family life; if you work through problems or areas that you want to improve together it is more beneficial all round. 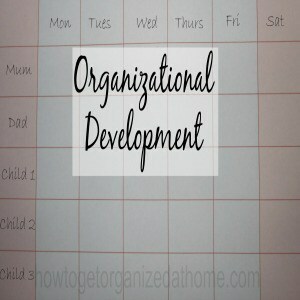 Therefore, if you are looking for answers as to how to become better with basic organizing skills, then you might need to consider bringing in some organizational development for your whole family. It will help to adjust how you work together as a family and how you tackle areas that are difficult to organize.